I saw this soda in a Scandinavian shop and was instantly attracted to the brand – “Uncle Lundquist.” As you may remember, “Lundquist” is my mom’s maiden name. “Julmust” is a soft drink (kind of like a spicy root beer) mainly consumed in Sweden around Christmas. In fact, “julmust” outsells Coca-Cola during the Christmas season in Sweden. “Must” is made of carbonated water, sugar, hop extract, malt extract, and spices. 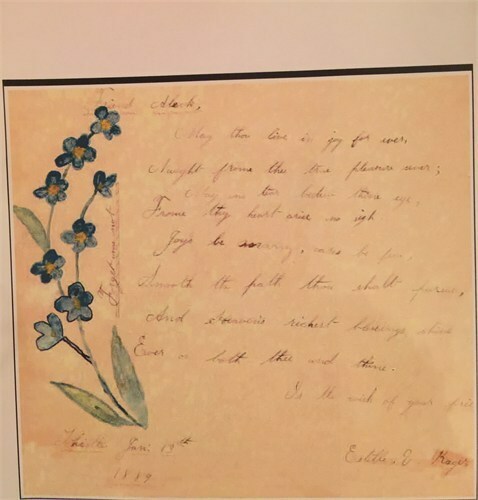 The following images are from an autograph book that belonged to Alexander George Lundquist (1865-1891), my great grandfather’s brother. The first autographs are dated 1889, so the book is very old. I have never seen the actual book but am lucky to have copies of the scanned images. 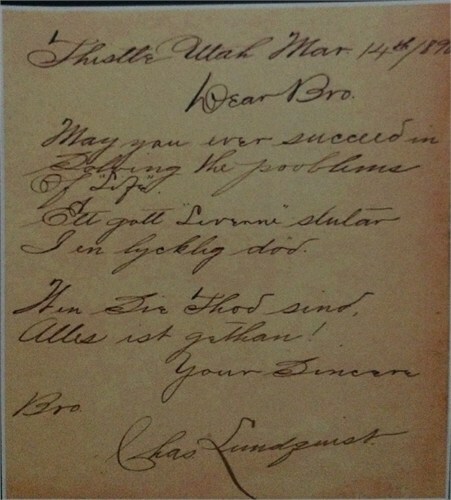 An autograph from Alexander’s brother, Carl Emil Lundquist (”Chas”). It reads: “Thistle, Utah, Mar. 14, 1890. Dear Bro. May you ever succeed in solving the problems of life.“ The next sentence is written in Swedish. My Swedish teacher told me it says “a good disposition leads to a happy life.” I believe the last sentence is written in German (”everything is done!”).